Fulmen, as many of you will know, means thunderbolt in Latin. So it must have seemed when this Iranian company had its assets frozen. This case is a good example of how general principles of European law were applied to annul measures taken against these Iranian applicants. 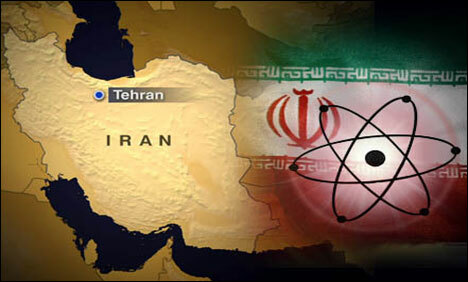 The measures were part of EU policy to apply pressure on Iran to end nuclear proliferation. Fulmen was said to have supplied electrical equipment on the Qom/Fordoo nuclear site and Mr Mahmoudian is a director of Fulmen. Hence they were both listed in Council Decision 2010/413/CFSP. The upshot was that all of their assets were frozen by the EU. 48 The purpose of the obligation to state the reasons for an act adversely affecting a person, as provided for by the second paragraph of Article 296 TFEU and, more particularly in this case, by [the relevant provisions] is, first, to provide the person concerned with sufficient information to make it possible to determine whether the act is well founded or whether it is vitiated by an error which may permit its validity to be contested before the European Union courts and, secondly, to enable those courts to review the lawfulness of that act. The obligation to state reasons thus laid down constitutes an essential principle of European Union law which may be derogated from only for overriding reasons. The statement of reasons must therefore in principle be notified to the person concerned at the same time as the act adversely affecting him and a failure to state the reasons cannot be remedied by the fact that the person concerned learns the reasons for the act during the proceedings before the Courts of the European Union (see, to that effect, Case T-390/08 Bank Melli Iran v Council…. 49 Unless, therefore, overriding considerations to do with the security of the European Union or of its Member States or with the conduct of their international relations militate against the communication of certain matters the Council is bound…..to apprise the entity concerned…of the actual specific reasons why the Council considers that provision to be applicable to it. It must therefore state the facts and points of law on which the legal justification of the measure depend and the considerations which led the Council to adopt it (see, to that effect, Case T-390/08 Bank Melli Iran v Council …). 50 Further, the statement of reasons must be appropriate to the measure at issue and the context in which it was adopted. The requirements to be satisfied by the statement of reasons depend on the circumstances of each case, in particular the content of the measure in question, the nature of the reasons given and the interest which the addressees of the measure, or other parties to whom it is of direct and individual concern, may have in obtaining explanations. It is not necessary that the statement of reasons specify all the relevant matters of fact and law, inasmuch as the adequacy or otherwise of the reasons is to be evaluated with regard not only to its wording but also to its context and to all the legal rules governing the matter in question. In particular, the reasons given for a measure adversely affecting a person are sufficient if it was adopted in circumstances known to that person which enable him to understand the scope of the measure concerning him (see Case T-390/08 Bank Melli Iran v Council, paragraph 82…). On analysis, the Court found that the reasons given by the EU were sufficient. The annulment was in fact achieved on the basis of what sounds at first blush a rather unpromising ground of complaint, namely that the EU Council had made “an error in assessment” regarding the applicants’ involvement. Both Fulmen and Mr Mahmoudian denied that they were active on the Qom/Fordoo site and maintained that the Council had not adduced evidence of its claims on that point. 95 ….added that it could not be expected to adduce evidence of that claim. According to the Council, review by the courts of the European Union must be limited to determining that the reasons relied on to justify the adoption of the restrictive measures are ‘probable’. That applies to the present case, given that Fulmen is a company which has long been active in the Iranian electrical equipment market and has a substantial workforce. 96 In that regard, it must be recalled that the judicial review of the lawfulness of a measure whereby restrictive measures are imposed on an entity extends to the assessment of the facts and circumstances relied on as justifying it, and to the evidence and information on which that assessment is based. In the event of challenge, it is for the Council to present that evidence for review by courts of the European Union (see, to that effect, Case T-390/08 Bank Melli Iran v Council, paragraphs 37 and 107). Hence, and unsurprisingly given what courts do, the Court ruled that the review of lawfulness which must be carried out was not limited to an appraisal of the abstract ‘probability’ of the grounds relied on, but must include the question whether those grounds are supported, to the requisite legal standard, by concrete evidence and information. Secondly, the Council cannot rely on a claim that the evidence concerned comes from confidential sources and cannot, consequently, be disclosed. While that circumstance might, possibly, justify restrictions in relation to the communication of that evidence to the applicants or their lawyers, the fact remains that, taking into consideration the essential role of judicial review in the context of adoption of restrictive measures, the courts of the European Union must be able to review the lawfulness and merits of such measures without it being possible to raise objections that the evidence and information used by the Council is secret or confidential (see, by analogy, OMPI, paragraph 155). Further, the Council is not entitled to base an act adopting restrictive measures on information or evidence in the file communicated by a Member State, if that Member State is not willing to authorise its communication to the courts of the European Union whose task is to review the lawfulness of that decision (see, by analogy, Case T-284/08 People’s Mojahedin Organization of Iran v Council  ECR II-3487, paragraph 73). On the other hand, the effect of such difficulties cannot be that the Council is entirely relieved of the burden of proof which rests on it. As regards the assessment in the present case, the Council has produced no information or evidence in support of the reasons relied on in the contested measures. As the Council itself admits, in essence, it has relied on mere unsubstantiated allegations that Fulmen installed electrical equipment on the Qom/Fordoo site before the existence of that site was discovered. And so that was that. An interesting outcome, given that most of us probably think that those named in these proscribed lists are as guilty as hell because the EU institutions would not have named them, would they? Do you really believe that the name of Fulmen and Mr. Mahmoudian was included in this list for good reasons? Do you consider it acceptable that the Council put the name of one in this list without any investigation and only based on allegations? While Mr. Mahmoudian is living in France, the Council pretend that it was not able to identify his address! If the council is not able to find the address of Mr. Mahmoudian in France, how can we consider that a serious investigation was made about him? Despite several claims since 2010, the Council has produced no justification and has never tried to investigate seriously about this case. During this period hundreds of innocent people have suffered of the consequences of this decision in Iran and in Europe. Only in France, one company with more than 30 employees is in bankruptcy because of this decision. This company was essentialy working for car industy. Over all do you know what was the target of this sanction over Fulmen? If Mr. Mahmoudian and Fulmen are doing something wrong why they were not been judged by a European Tribunal? If the target is to oblige them to stop their activity, you should know that they proposed since 2010 to stop any suspecious projet. The fact is that the Council didn’t accept even to meet them! This case show how the powerful European institutions can abuse of their power to destroy a person or a company… Fortunately we still have the European Tribunal to stop such deviations. Bob – useful background info thanks, but no call for giving the poor QC a hard time over the last sentence – you seem to have missed the irony. What follows may be stating the obvious to most people, but there are some conspiracy theorists who read these blogs who believe lawyers & the EU are in cahoots, so it might be worth spelling it out. The fact that the last sentence follows on from “Just so. And then the real story emerged:”, with the highlighting in the last quote, makes it pretty clear that the last sentence is meant ironically (plus the clue in the oddity of a QC suggesting accusation equals guilt). It is a reference to something that may be a bit of an in-joke among lawyers, but it is fairly common in the non-tabloid media too – the ironic use of “Well he must be guilty or the police wouldn’t have arrested him would they?”. That is an easy reaction but one which would obviously put every criminal lawyer & judge on the dole (as well as the small matter of ushering in a police state – and no I don’t really mean that is less serious than the jobs of lawyers). So as far as I can see this was a very nicely executed rhetorical twist to jolt us into revisiting our initial reactions to the apparent respectability of EU decisions, and into realising that we should not be any more ready to accept them as proof of guilt than we would a police arrest. You got my meaning exactly – I had not the slightest intention of being rude about Fulmen and Mr Mahmoudian – the jolt was exactly what I wanted to impart to people’s smug views about the omniscience of EU institutions.